Readers sound off on Loni Hancock, Utah coal, and St Andrews Plaza. I applaud Senator Loni Hancock for her strong stance opposing new coal and fossil fuel infrastructure in California. It is imperative that we massively reduce our use of fossil fuels as soon as possible in order to avoid catastrophic environmental impacts from human-induced climate change. Reducing and eliminating new fossil fuel infrastructure is an important step in that direction. However, the senator is making one major, and unfortunately common climate science mistake, that regarding mitigation with offsets. (One of Hancock's bills calls on any developer proposing a coal export facility to "fully mitigate" the CO2 emissions that would result from burning the coal transported through it.) The science shows that it is physically impossible to neutralize (i.e. offset) the emissions from our burning of fossil fuels. 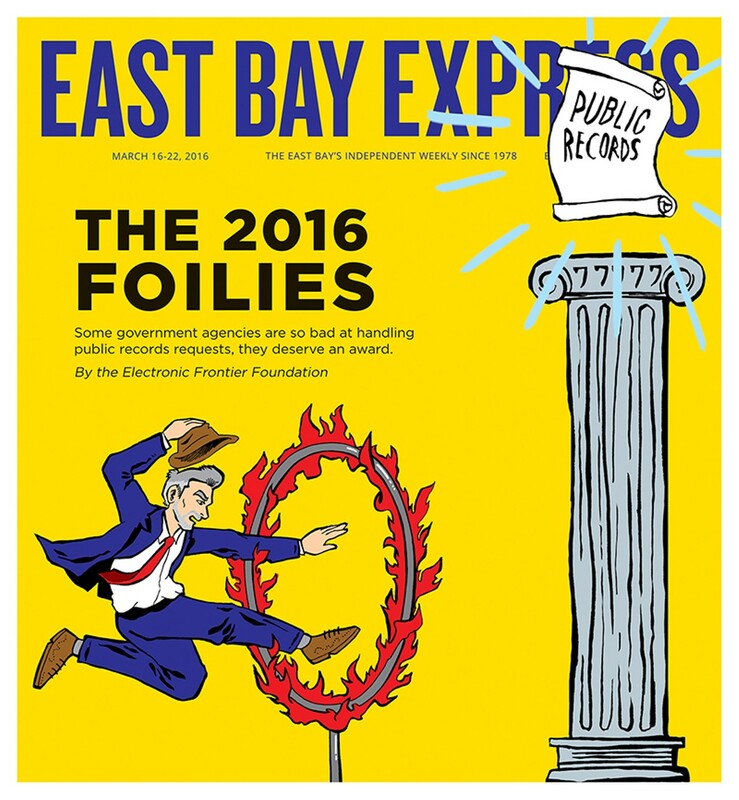 This is an issue that in other instances the East Bay Express is excellent at calling into question, but in this article the assumption was left unchallenged. California's cap-and-trade scheme is premised upon a common, but erroneous assumption that we can compensate in any meaningful way with offsets for the irreversible emissions impacts from burning fossil fuels. Stakeholders who opposed this assumption in the development of California climate policy have been marginalized, and offsets have gained acceptance, in spite of the dubious nature of the science that is used to justify offsets on environmental, social, and economic grounds. Perhaps another important legacy that Hancock could leave is to require a rigorous scientific assessment of California's cap-and-trade program, whose environmental and social impacts have yet to be reviewed in a substantial manner. The incredible effort to inhibit new fossil fuel infrastructure would be complimented by a policy push to see that California climate policy is informed by the best available climate science. It is amazing that, in such a political year, the people of Utah are allowing themselves to be bamboozled. The Utah end of this deal is as crooked as a summer day is long. At this end, it is appalling that Phil Tagami would get involved in this fiasco. If Asian countries are importing less natural gas than expected from nearby Australia, if Russia has more natural gas than Europe wants to buy, and if China is cutting back on coal production and burning so that people in Beijing can keep breathing, who will buy this coal? The only winners in this deal will be the investment bankers selling the Utah bonds. People, don't you get it? Senator Loni Hancock has introduced four bills to the state legislature that, if passed, will prevent Oakland from exporting coal to Asia, which the city is now considering doing. Too many politicians roll over and play dead when offered money by the fossil fuel industry. Given that January and February of this year are so far off the top of the charts when it comes to high temperatures, all of human society should be accelerating our move to get off fossil fuels, rather than figuring out ways to burn more of them. Exporting coal to burn in Asia is madness as it will contribute to rising sea levels in the Bay Area, more droughts, floods, fires, and more violent storms and hurricanes. Is that a future we want to give to our children and grandchildren? We have heard about bankrupt corporations and cities not being able to pay their pension obligations. We have also heard about mining companies having enormous clean-up obligations that they have self-bonded, essentially insuring themselves with their own assets. We also remember the 2008 financial crisis in the US. Years ago, while working at the EPA, I heard talk about a mining company in Nevada where the directors issued themselves large bonuses and then declared the company bankrupt. I wonder what happened to their clean-up obligations and their workers' pensions. I see a pattern there that I claim could be operative in Bowie Resource Partners plan with Oakland and Terminal Logistics Solutions. I shall try to describe it. The market for coal is collapsing and the value of coal companies' stock has greatly declined. Bowie has reportedly been buying up other bankrupt coal companies. Clearly, Bowie has been telling their financiers that they have a plan to sell all that coal overseas by shipping it through Oakland. The financiers use that claim to take their enormous fees and commissions for making the deals. They then get to walk away. The directors of Terminal Logistics Solutions take their inflated salaries, and whatever bonuses that they have been able to arrange for themselves from Bowie, and also prepare to leave the scene. And just when the whole scheme is about to be exposed, when the entire fraudulent plan is just about to come crashing down, then the directors of Bowie give themselves large bonuses and declare the company bankrupt, just as was done by that mining operation in Nevada. The workers at TLS will lose their jobs and pensions. Oakland will be left with a bankrupt and useless coal export terminal on a prime piece of San Francisco Bay waterfront property that it has to tear down and clean up. We will have even more citizens with asthma and other coal-related diseases. Utah will be left with a worthless investment in California. But Tagami will have closed his deal and claimed success. Lots of money will have been made. The TLS and Bowie guys are rich. The financiers are even richer than before. It is the average citizen in Oakland and Utah who is poorer. As opposed to waiting for this to happen, I suggest that we should stop it right here and now. 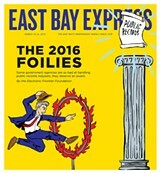 All that the Oakland City Council needs to do is to pass the necessary ordinance. Granted that Oakland may get sued. However, now that we are aware that the plan is to dedicate the entirety of the Oakland bulk terminal to coal, and coal was not even mentioned in the environmental impact statement, it is hard to believe that such a lawsuit will have much credibility, even with the people who might bring it. Let's prevent this disaster before it occurs. I used to work at Trouble House, a program for recovering addicts that was part of West Oakland Health Center located across the street from Saint Andrews Plaza. Is North Oakland Baptist church still on 32nd Street? My dear father use to live in the senior building on the corner. And there is a childcare center nearby. Even with these places mostly still there, it seems that no one planned to support these positive assets in the community. My question is; why? All of these services are needed. Just add some decent housing and provide security. And we all know there needs to be more services for the homeless, the mentally ill, and the chronically homeless. Unless we consciously provide services, people will not just disappear. It really can be done. Our March 23 music story, "'Til Queendom Come," incorrectly stated that Queen Crescent's former bassist Eni Loicy Pela is still in the band. Queen Crescent's current bassist is Eden Savage.